Cheats for 94% Dog On A Hammock Picture Answers with 2 more questions related on 94 percent game : somewhere you might catch a cold and something you put in a front shirt pocket. Can you find what words that associated or related for this question ? 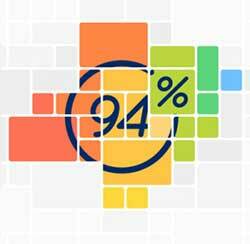 because if you need help, i will share all the 94% answers solutions for both ios and android version here !